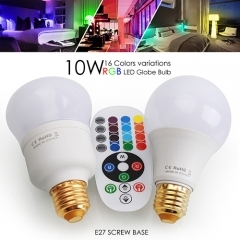 Colour changing and Different lighting mode. 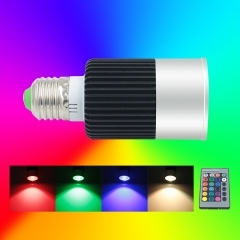 16 colors available, 4 lighting effects: flash, strobe, fade, and smooth.You can choose any model that you need. 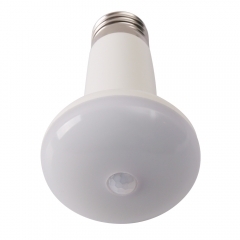 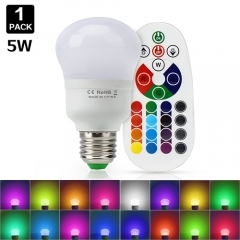 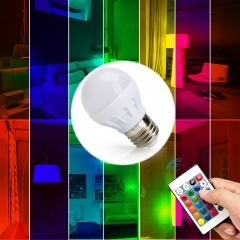 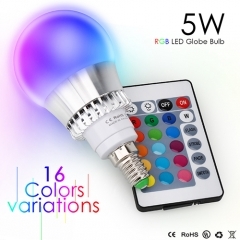 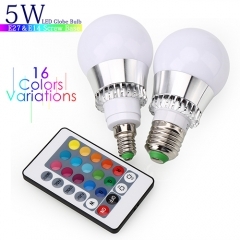 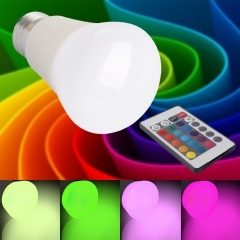 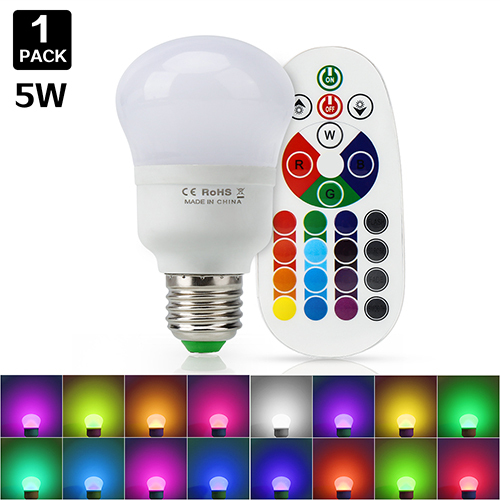 Equivalent to 25W incandescent in white color. 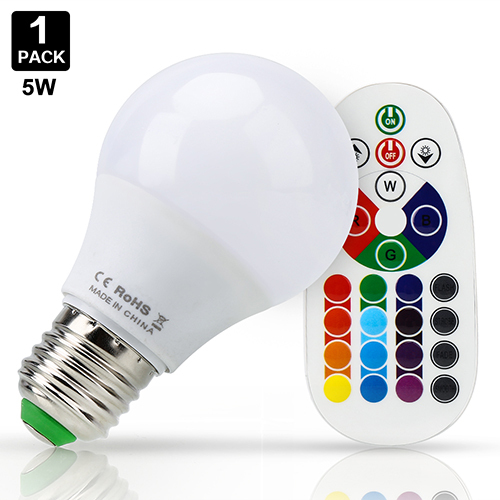 And the remote control is powered by one CR2032 button cell (Included in the package).